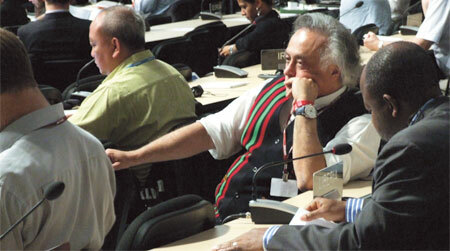 Cancun has restored the sanctity of multilateral negotiations under the UN climate convention. People had lost faith in it by the end of the Copenhagen meet last year. But what is the cost of the Cancun success? The new deal erases the difference between developed and developing nations. Developed countries no more have to commit legally to cut emissions. And what they pledge to do voluntarily is too little. On the other hand, developing countries will now have to take on binding commitments. While developing countries share the burden of cleaning up, financial and technological help the rich promised them remains just a promise. Turns out the cheers at Cancun were more for the process—in which everyone felt involved—than the substance of the deal. The Cancun agreement shows an uncanny resemblance to the Copenhagen Accord. The US and a select group of countries had got into action since Copenhagen last year to get every country fall in line. All did except Bolivia. It is hard to miss the silhouette of the Big Brother looming over Cancun. On the night of December 10, Patricia Espinosa shed a tear and received a standing ovation. The foreign secretary of Mexico and president of the 16th Conference of Parties (CoP) on Climate Change held in Cancun had just read out her speech urging all negotiating parties to accept a draft agreement anchored by her country. As she finished her speech, the plenary hall burst into a thunderous applause. Mexico had managed the impossible. It had got all countries barring one to agree on a draft very similar to the Copenhagen Accord, which the earlier CoP had refused to adopt. The draft had let the rich countries, largely responsible for greenhouse gas emissions, off the hook; they did not have to commit legally to cut emissions. Instead, it proposed everybody voluntarily pledged to cut emissions as much as they pleased. This meant erasing the historical responsibility of industrialised nations to clean up greenhouse gases. 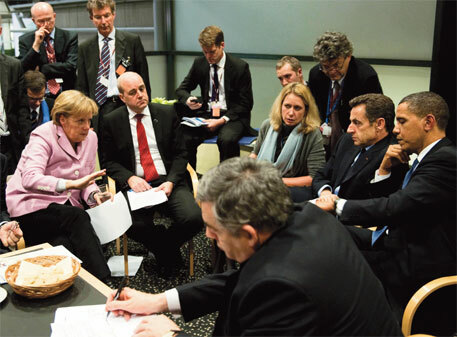 Decisions in climate change negotiations always take place at the eleventh hour. Cancun was no different. For the first 10 days the negotiations played out like a silent movie, apart from strident calls by Japan, Canada, Australia and Russia to scrap the second phase (post- 2012) of the Kyoto Protocol that makes it legally binding for rich countries to take emission cuts, hence essentially differentiating their responsibility from that of developing countries. US delegates did not have much to say except that they wanted a “balanced package”; the Chinese did not come before the media till the second week of the conference; India held a press conference where the media was not allowed to ask questions. It was the antithesis of Copenhagen where every hour statements were made and accusations hurled. The calm was a perfect foil for the heated arguments within the negotiating chambers. There was no agreement on any aspect of talks that progressed along two tracks. One ad-hoc group negotiated the second phase of the Kyoto Protocol and the other long-term cooperative action on what every party should collectively do to adapt to and mitigate climate change. At the end of the first week, the chairs of both the working groups presented their drafts to the parties, which remained divided on critical issues: how much emissions should be reduced by developed countries, how much money should developed countries give to developing countries for adapting to climate change, how technology should be transferred to developing countries to reduce their emissions. Even the legal form, whether the long-term cooperative action should be a binding protocol, was being hotly debated. The developed countries pushed for incorporating the Copenhagen Accord—that makes no commitment legally binding—into the formal negotiating process. For most time the US behaved as a fence-sitter. But as confidential cables leaked by WikiLeaks revealed on December 4, it had other methods to persuade smaller countries, either with a carrot or with a stick. Smaller nations, particularly the small island states, were offered money to side with the developed nations. On December 8, the European Union, along with the small island states, proposed merging the two negotiating tracks into a single, legally binding one on long-term action. This meant undermining the Kyoto Protocol. The US, India, China, Bolivia and the Philippines staunchly opposed the move. The group of 77 developing countries called G77 did not want to move away from the Kyoto Protocol, while the US did not want legally-binding commitments. Bolivia said no because it smelled a repeat of the Copenhagen Accord. As the negotiations progressed, Indian and Chinese negotiators began complaining they were under tremendous pressure to adopt long-term cooperative actions as a legally binding agreement. They wanted to know the emission cuts industrialised countries would take before deciding on it. With the group of countries led by Japan, Russia, Canada and Australia withdrawing from the second phase of the Kyoto Protocol, the developed countries pitched for negotiations on long-term cooperative actions without binding commitments. They wanted every country, rich or poor, to pledge voluntary actions as mentioned in the Copenhagen Accord. India blinked. Its environment minister Jairam Ramesh told the high-level plenary all countries must take on “binding commitments under appropriate legal forms”. “Appropriate legal forms” is not exactly “legally binding”; it leaves scope for varying interpretations. Several experts believe that Ramesh’s statement was a support for a pledge-and-review regime as a single instrument in a new protocol. Later, he admitted he was under tremendous pressure not be seen as a deal breaker. The Mexican presidency moved in swiftly for the kill. It took a few ministers from negotiating parties into confidence to persuade other countries to accept the draft. Meetings were pushed behind closed doors where only those negotiators “who could be trusted” took part. Nobody slept till early morning of December 10. The negotiators only got a few hours’ break and by 8 am most of them were back in negotiating chambers. The Indian minister was busy getting other BASIC members (Brazil, South Africa, India and China) to accept the draft. China was still adamant on a number of issues, including mitigation targets and international monitoring and verification of its domestic commitments. Eventually, it too gave in. South Africa, host to the talks next year, did not want to raise hackles. In the end 193 of the 194 negotiating parties supported the deal. Only one country said no: Bolivia.